Posted on November 18, 2015 by Iowa Environmental Council | Comments Off on We’ve moved! As of Tuesday, November 17, 2015, the Iowa Environmental Council’s blog is hosted on its website, iaenvironment.org. Visit the Council’s blog, now the Iowa Environmental Voice, and explore the other resources available on our recently relaunched website. This wordpress and all previous blog entries made here will remain live for archival purposes. Content on this page will not be updated going forward, nor will responses be posted to comments made after 11-17-15. The Northern District of Iowa, U.S. Department of Justice seeks a paralegal. May appear in court as a witness to testify concerning exhibits prepared supporting plaintiff’s case. May draft detailed legal documents including briefs, pleadings, appeals, agreements, contracts and legal memoranda. 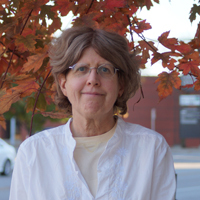 The Iowa Environmental Council is pleased to announce that Barbara Andersen has joined its staff as a clean energy organizer. Andersen will work alongside Energy Program Director Nathaniel Baer and Climate and Energy Policy Specialist Cindy Lane to advance policies and programs that encourage and facilitate clean energy growth and development, with a focus on mobilizing Iowans to advocate for clean energy leading up to the 2016 Iowa Caucuses. Andersen, a Waterloo, Iowa native, comes to the Council from Ball State University in Muncie, Indiana, where she was an instructor in the Department of Urban Planning. Prior to teaching at Ball State University, Andersen served as the public transportation policy and planning manager for the Downtown Community Alliance, where she focused on growing the use of alternative modes of transportation in greater central Iowa. She holds a Ph.D. in Environmental Science from the University of Idaho, a Masters of Urban and Regional Planning from the University of Wisconsin-Madison, a Masters in Landscape Architecture from the University of Minnesota-Twin Cities and a Bachelor’s in Landscape Architecture from Iowa State University. Barbara can be contacted at andersen@iaenvironment.org. 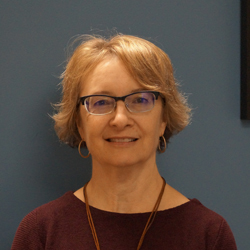 The Iowa Environmental Council is pleased to announce that Ann Y. Robinson has joined the Council as its new Agricultural Policy Specialist. Robinson, of Des Moines, is a long-time Council member and past board member. Robinson has a background working in sustainable agriculture and water quality issues in Iowa and the region. She came to the Council from the National Center for Appropriate Technology (NCAT), where she served as the Midwest Regional Office Director. In that role, she specialized in crop insurance and farm to school programs. Previously, she worked in project management and communications for groups including the Mid-American Agroforestry Working Group, Iowa Rivers Revival and the Izaak Walton League of America. Robinson also spent several years coordinating state wetlands and watershed planning efforts for the Iowa Department of Agriculture and Land Stewardship. Robinson replaces Jennifer L. Terry, who joined IEC in 2013 as its first Agriculture Policy Specialist. Terry left IEC in September 2015 to take a position as policy specialist for the Des Moines Water Works. Robinson can be contacted at robinson@iaenvironment.org or 515-244-1194, ext 211. One week ago, 200+ environmental advocates, professionals, community, business and industry leaders, students, researchers, lawmakers and more gathered in Des Moines for our 2015 Annual Conference, Elevate: Creating an Environment of Action. 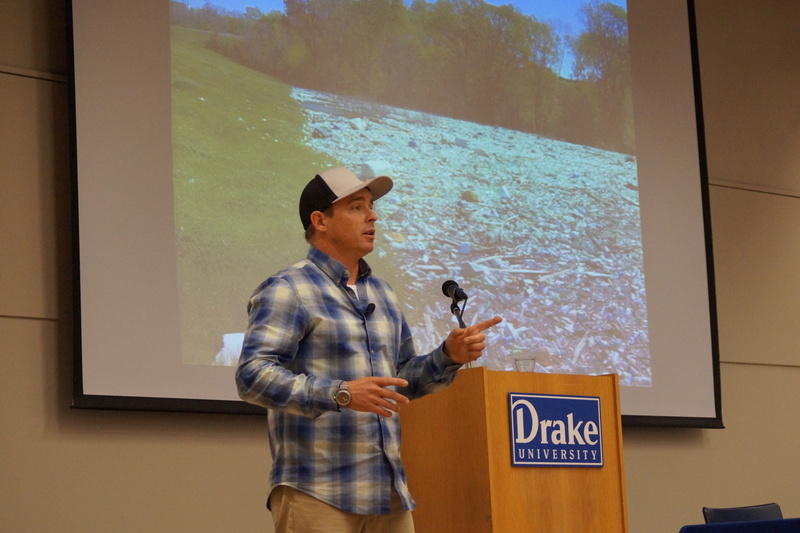 This year’s conference, featured keynote speaker Chad Pregracke, the 2013 CNN Hero of the Year, author, president & founder of Living Lands & Waters; a nonprofit river clean-up organization headquartered in the Quad Cities, who wowed the crowd with his inspiring story, charisma, energy and contagious passion for cleaning up America’s rivers. Chad was a tough act to follow, but other speakers were up to the task. Nationally renowned natural resource, energy, agricultural, social science, communications, legal and advocacy experts including Jacqui Patterson (NAACP), Jerry Hatfield (USDA-ARS), Cara Pike (Climate Access) and many more shared their knowledge, experience and tools to empower Iowans to identify opportunities, define moments and move interest to action to elevate Iowa’s environment. This year also marked the Council’s 20th anniversary. Dennis Keeney, the Council’s second board president, the first director of the Leopold Center for Sustainable Agriculture and author of The Keeney Place: A Life in the Heartland, reflected on this milestone during his lunch hour remarks, and we are pleased to be able to share those remarks with you here. Welcome fellow environmentalists, what a beautiful fall day. Thanks to the organizers for putting this conference on and for giving me a chance to reflect and forecast. In 1995, I had been director of the Leopold Center for seven years, having started the Leopold Center in 1988. I had just turned 58 and was a grandfather. The future was real. I felt the Leopold Center was stable and I could risk being active in an environmental organization. The Iowa Groundwater Protection Act, passed in 1987, was a brilliant piece of legislation. Thank you Ralph (Rosenberg), Dave (Osterberg) and Paul (Johnson). The Leopold Center had opened up new research and collaborative pathways with Iowa State, Practical Farmers of Iowa and many other in-state institutions. The legislation had also formed CHEEC (Center for Health Effects of Environmental Contamination) as well as monitoring programs for DNR, and money to address the sinkhole problem. But bridges with the nonprofit environmental organizations were needed. Enter the Iowa Environmental Council. Two environmental leaders, Buz Brenton and Charlotte Hubbell had a dream, and the skills and vision to implement the dream. They envisioned an organization that would be a central meeting of minds for those groups desiring to improve Iowa’s environment. Charlotte and Buz worked tirelessly to get the Council off the ground and in the end, they created a unique organization that has not been duplicated elsewhere. I recall the first organizational months as if they were just yesterday. Groups of us were assigned to come up with needed policy and research needs in a number of areas. We met in places around downtown, sometimes Charlotte would provide box lunches. We hammered out the priorities of the Council and came up with a charter document. We decided to encourage individual membership, as well as organizational membership, a key to staying in touch with people and real world issues. Susan Heathcote, the first full-time program staffer, was hired in early Jan of 1996 and has been the go-to leader of the Council’s water policy work ever since. Susan provides the science and policy we need to work with the diverse interests of the Council and interact with the public. Over the years she has been the valuable staff member that knows the score. Charlotte was elected chair of the board and Linda Appelgate was the Council’s first executive director. Two years later, Charlotte along with her husband, moved to Europe for a business position, and I took over chair of the board. We were still forming, feeling our oats, and beginning to make a difference. It was a thrilling time to be involved. I was chair for two years and stayed on the Board for several more years. Early on, IEC developed a collaborative model, getting people and groups together, finding areas of common agreement, and working toward solutions. With few exceptions, we have not resorted to the courts for action. As you will see in the display in the next room, IEC has made a lot of progress, but it takes dedicated effort. IEC, thanks to great public relations programs, hard work on the hill, and to excellent coordination with the member organizations and the press, gained a strong reputation as a spokesperson for environmental issues. 20 years have flown by. I have been retired for 15 years, directed the Leopold Center for just 12 years. Now a grandfather six times over, I have my first great grandchild. My perspectives on the future and the need for sustainability continuously broaden. IEC has new digs, a larger staff, and a vibrant executive director. The board is smaller and easier to work with, so I am told. IEC has a record number of member organizations and a large individual membership base. It is a strong sustainable model. I can name several somewhat similar groups who have dropped by the wayside in this time. Looking ahead, I see turbulent times. Society has taken on conflict as the way to solve our problems. It will not work. But given that over 40% of our legislature is now lawyers, bad things are bound to happen. Examples abound, chaotic lawmaking, no solutions being proposed, obstructionists gain power. Lawmakers are in chaos and gridlock. In Iowa, we must not lose control to extremists who are dedicated to destroying EPA, health care, and other government programs that help people. The power is there to commit havoc. Too much already has been done in the name of business over environment and education. Why do we subsidize building a polluting fertilizer nitrogen plant while vetoing funds for the Nutrient Reduction Strategy? Take a lesson from Boehner, he called for realistic leadership, rather than drumbeats for the impossible. Take on winnable issues. It also will be important to use existing laws for environmental protection and to advocate for better comprehensive laws. Be aware of what might sneak in during midnight lawmaking. IEC has a tremendous future ahead. It is building staff in critical areas, and gaining regional recognition. Thanks to the membership, the continued leadership of dedicated board members, that is all of us. We can be proud. I know you are up to the task. I am proud to have been part of IEC for the past two decades. Thanks Charlotte, Buz and Linda for getting us started on a sustainable path. Thanks to all of you for supporting the greatest environmental coalition ever.